Mash, 24 Nov 2012Cant install more than 4 apps it starts to hang. ear piece clarity is poor especially at the ... moreI completely agree. 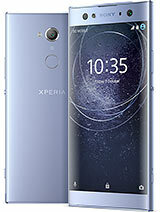 how download play store at my xperia x8? nuyu, 18 Nov 2012Why x8 cannot download instagram? You need higher version of Android to install Instagram. You can't install in X8, untill you chose to use custom ROM. Why x8 cannot download instagram? I have this set from last two years and I like its speed, video clearity and its touch response but the camera have no zoom. Vinu, 15 Nov 2012There is a pair of button on its side which you use to adjust your phone's volume. This works ... morenot true, i have one , even on photo its modify the volume of the speaker, you cant zoom in or out. at least haven't found yet after more than one year. people's choice, 27 Oct 2012can anyone tell me how to zoom with experia x8 camera? pleaseThere is a pair of button on its side which you use to adjust your phone's volume. This works as zoom in or zoom out while taking pictures. If you want to zoom in the picture, double tap on the screen it will work.